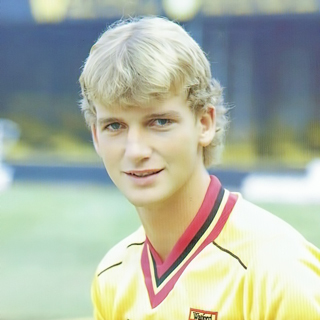 Richard Jobson was the only signing Watford made the season after winning promotion to the First Division in 1982. 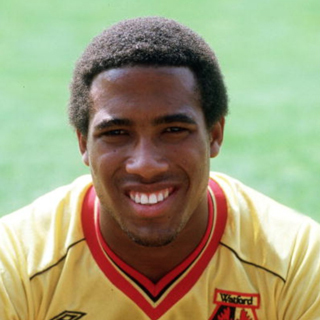 He joined from non-league Burton Albion in the October, and went on to enjoy a long career in the game. 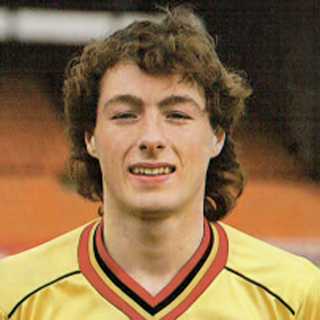 David Bardsley played as a full-back and later a flying winger but left the club shortly after Dave Bassett took over as manager in 1987. I didn’t expect him to be enthusiastic about Bassett’s appointment but it was interesting to hear that he wasn’t keen playing on the wing either. Paul Atkinson came on as a second half substitute in the FA Cup Final, but never played for the first team again. 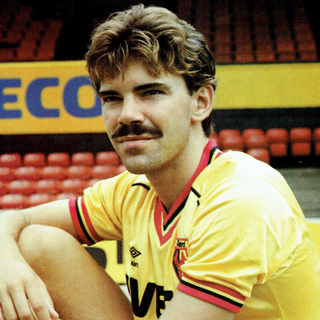 A mixed Vicarage Road career that started with a transfer tribunal asking Watford to pay a higher-than-anticipated fee and a broken ankle in his first friendly game for the club. I was interested to hear the point of view of a player who had not fitted into Graham Taylor’s side. Muir Stratford was one of the directors who saw it all. 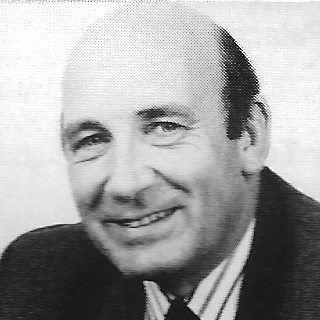 He had been on the board under Jim Bonser, he saw Elton John arrive, he went on the incredible journey from the Fourth Division to the top, and then he witnessed the ill-fated recruitment of Graham Taylor’s replacement.